At Whistlers Inn we have prided ourselves for 20 years on quality food and drinks served in a relaxed atmosphere by friendly people. As we grow, we strive to continue that tradition. Whether you’re coming up for our award-winning barbecue or to watch the Phils over a couple of pints, you can count on us to make your experience here an exceptional one. 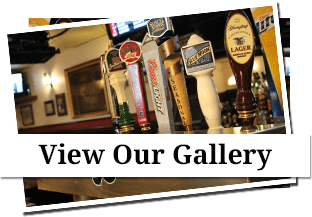 Whistlers Inn has been a part of the Cinnaminson community for two decades now; so we don’t really think of ourselves as your neighborhood restaurant, we’re more like family. So come on up, grab a drink and let us take care of you. 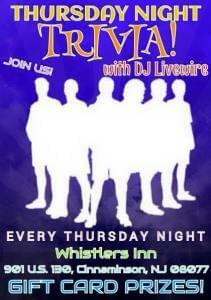 Thursday Night is Trivia Night at Whistlers! Want to watch the Eagles game with Barrett Brooks, Jamaal Jackson, Swoop, and a couple Eagles Cheerleaders? Stop by at 7:30 and stay for the game to take it all in! Plus take advantage of some great Miller Lite specials and Wing deals. 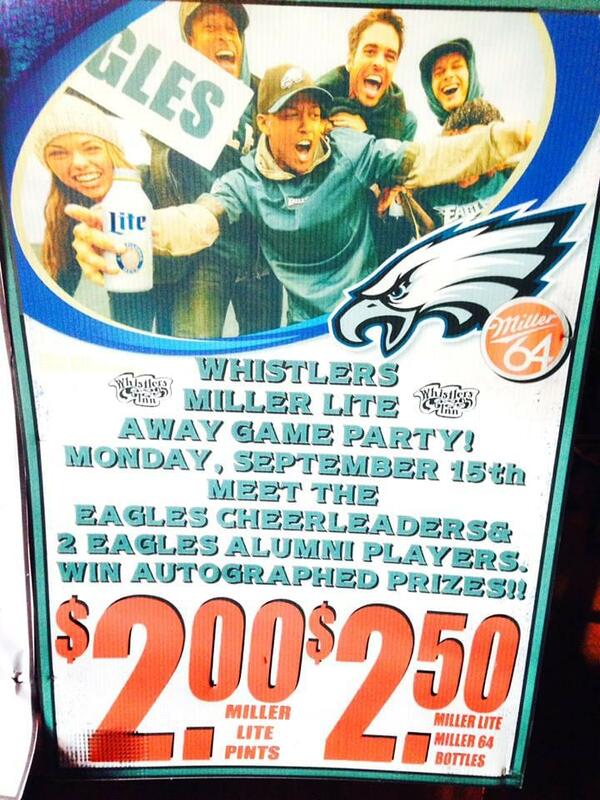 You also have a chance at winning some sweet Eagles Swag. E-A-G-L-E-S Eagles! 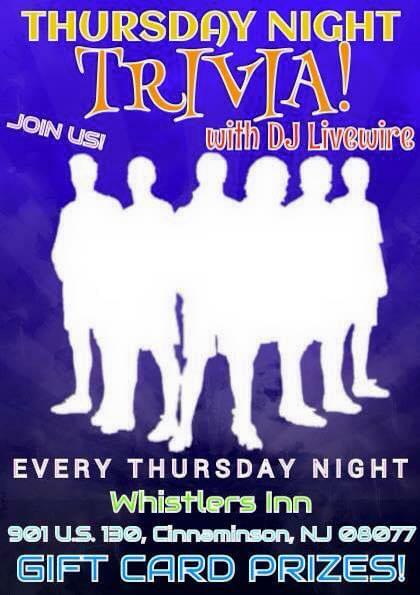 Check the site for regular updates on events, specials and promotions going on at the bar!